The sun is rising on a New Dawn, and as we stir from our slumber and open our eyes, all the images of a long and beautiful lucid dream come rushing through our memory. Tigers, Trixters, Monkeys, Lovers, Doves, Healers, Jaguars, Nomads, Owls, Dragons, Warriors, Families, Coyotes, Goddesses. What do all these images mean? There were villages, there were musical stages, performers flying through the trees, a marketplace and a Lucid City, an art gallery, a healing sanctuary, and a Family Garden. There were smiling faces, funny characters, heavy beats, and epic bass drops. Maps of the dreamworld scribbled on the back of bandanas helped us navigate a strange and mystical dreamscape, and there seemed to be a story, guiding us to an apex point of human thriving, a Eudaimonia of the good life rooted in the virtues of the most high. And Now… upon waking… we look around and see a world in need of the visions from our dreams more than ever. How will we stand tall in our lives, having been to the places we’ve been, having seen what’s possible when we believe in the dream? We step out into this day with inspiration to call forth a new story for ourselves, for our community, and for our world. This is a story of Lucid Living. The New Story of Lucidity features Elemental Realms in place of the Archetypal Villages from the past 6 years. Rather than 7 Villages and a Lucid City, the New Story will showcase the 5 Elemental Realms of Water, Earth, Fire, Air, and Spirit. We invite you to explore this new map and to dance Lucidity into the light of day. Interact with the characters you find, ask questions, and you might just find there’s a deeper game to play, a more profound meaning to it all, a link between the dreamtime and this waking life that could just be the answer to the ever-burning questions you hold in your heart. 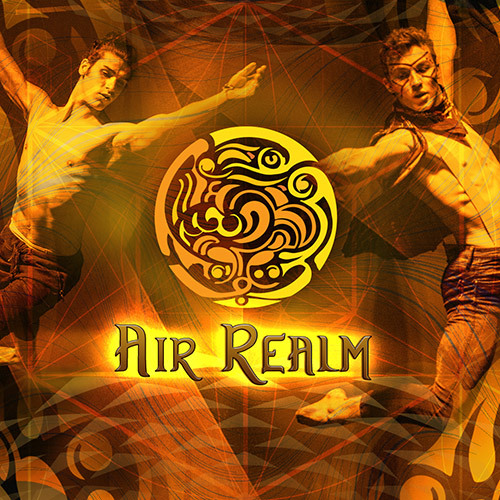 The Realm of Air is where you’ll reconnect with the present moment through the portal of your breath. Dancing the night away at what you might remember as the Nomad’s Stage, you’ll inhale deeply as your heart rate quickens. This Realm is also a place for the cultivation of intuition, communication, and mental acuity. 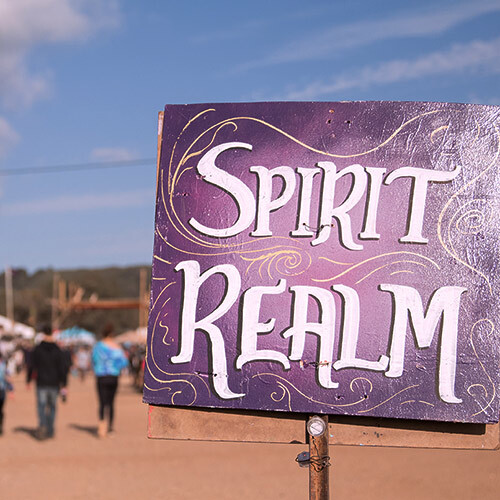 Float into hazy enclaves to discuss philosophy and dreams, experience art installations designed to connect you with altered states of consciousness. Remember to breath it all in and let it all back out! 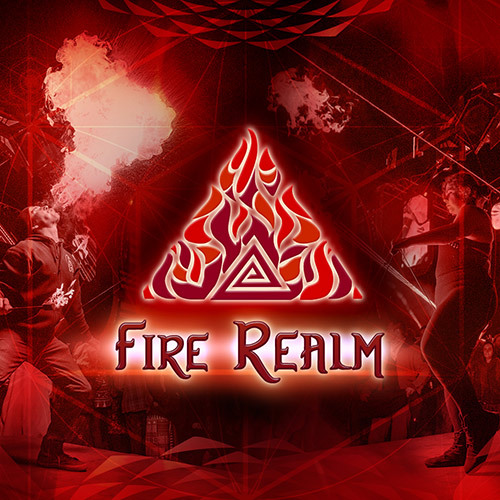 The Elemental Realm of Fire is where you’ll journey when you want to turn your chi dial up to 11. 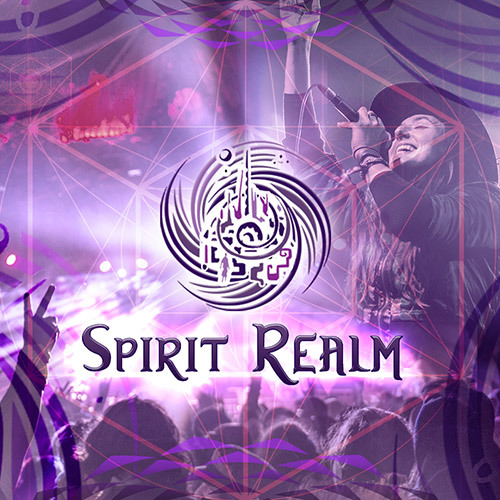 In this Realm you’ll find our beloved fireside storytelling zone, environments that offer safe space for the healthy exploration of love, gender alchemy, intimacy, poetry and music. The creative arts that you discover here may inspire adoration, devotion, joy, or even fury. 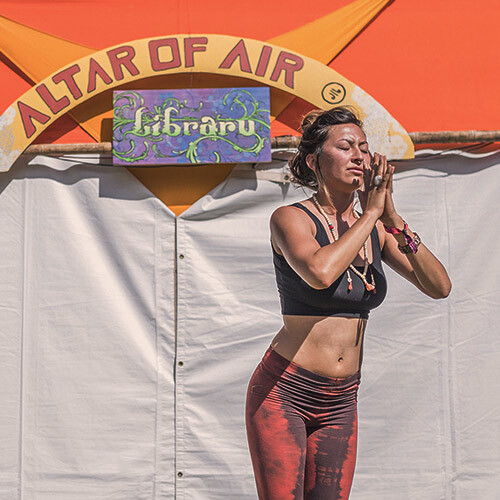 You’ll find our Alive Stage nestled among the trees, with vibes curated to set your heart ablaze. Fire provides warmth when the world turns cold. It is an active element of passion and purpose, providing the spark for creativity, love, and transformation. Fire is greatly connected to our Sun, the celestial body that we revolve around. The elder wisdom of our planetary parent, and the essence of the element of fire is all about the burning embers of creation, destruction, purification, and transmutation. The Oracle of the Hearth will help you identify that inside you which is ready to burn, either for the sake of forging and manifestation, or for the sake of release and change. 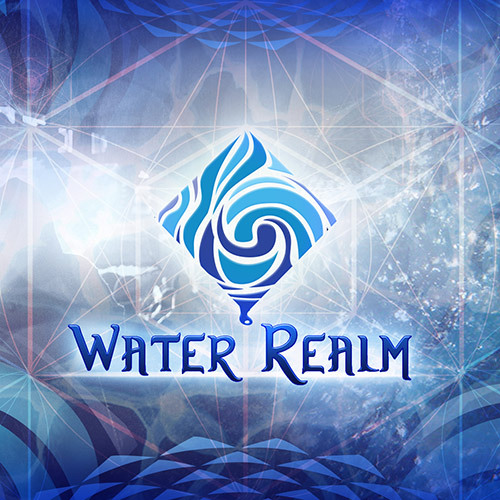 The Water Realm is a place of cool easeful flow. Within this realm you’ll for movement and healing, environments that evoke emotional responses, temples and altars that give gratitude for the wellspring of life that flows through us all, and art pieces and workshops that pay homage to the Moon, fertility, dreams, friendships, and transformation. 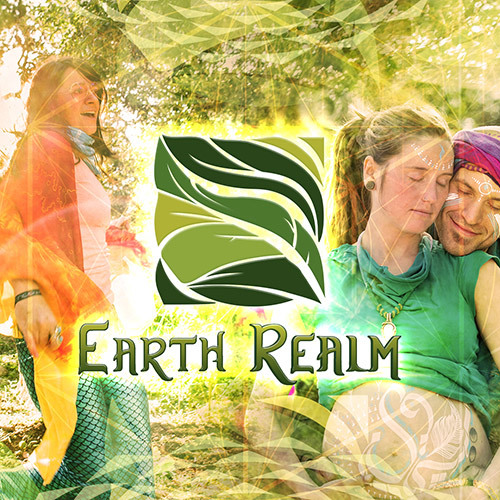 The Realm of Earth is a place to visit when you need grounding, connection, and inspiration for growth. Within this Realm you will find what you may remember as The Family Garden, a safe and joyful place for children, elders, and families to congregate and learn together. 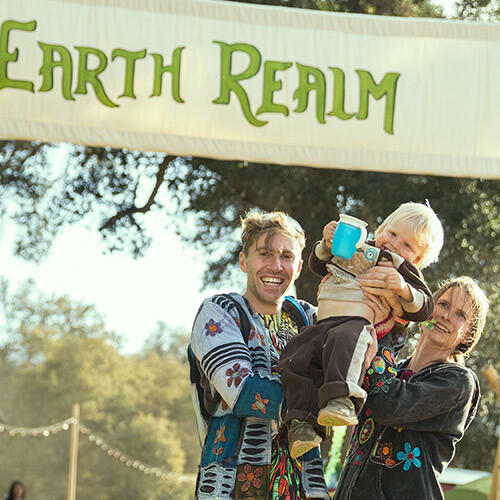 You will also find environments that evoke alignment with permaculture principles, temples and altars that honor the beauty, richness and abundance of this Home we share, art pieces that pay respect to the plants and animals, regenerative solutions for the challenges we face as a people and a planet, community guardianship, and the value of grounded presence. Hurdling through the vast expanse of space, this pale blue dot we call Earth is our fertile garden home. Earth is the source from which our physical bodies are born and it is the place where we all will return. Earth is the element of stone and flower alike, of crystal and of compost, of tree and of bee. The Oracle of Home will ask you to reflect on the status of the Home in the center of your being. Have you been fleeing from something difficult to face, or are you reliably showing up in stewardship of your own body and this body beneath our feet that we share?